We consider them part of our family now. The doulas at Beehive Birth Care are amazing at what they do - we weren't going to hire a doula but the second we met them we knew we needed them and wanted them to be a part of our birth story. Being a first time mom and labor, their support and experience were just what we needed to calm nerves and provide comfort. We consider them part of our family now and look forward to their support when we have baby number two! I highly recommend them to anyone looking for a stellar birth support team! "The doulas at Beehive Birth Care are a wonderful support team. They took time to understand our needs and what was important to us during our pre-labor visits. As a laboring mother, our doula's support was just what I needed. Her guidance was spot on. Ashlie encapsulated my placenta and delivered it to me just a few days postpartum. These ladies are wonderful and I highly recommend them to anyone looking for a stellar birth support team!" Raven was a fantastic support. "Raven was a fantastic support to both my husband and I which is totally what we wanted. Raven worked really well with my midwife and the hospital staff to make a great team. The birth was better than we could have hoped, because she and the rest of our birth team let me set the tone and never threw off the groove that accompanies a progressing natural labor. And my husband really appreciated having another pair of hands to help and take some of the weight off his shoulders. It was honestly the BEST day of our lives." We felt Raven's passion and love for her job, for us, and for our son. "I was worried about having a complete stranger in the most intimate moment of my life, but that's not how it felt at all with Raven. It felt like she was a member of the family there supporting us. What was the most impressive was how supportive she was of our birth decisions. We felt Raven's passion and love for her job, for us, and for our son." Having a doula was key for me. It made everything a lot more manageable once things got tougher. "I liked that Raven was totally cool with all of my birthing goals and willing to do whatever I wanted. I had the baby only an hour after arriving at the hospital, but I felt very under control during that entire hour, mostly due to the fact that Raven was helping me to relax and stay focused. Having a doula was key for me. It made everything a lot more manageable once things got tougher." When our baby will become a big brother, we will make sure to have Raven and Ashlie be part of our birth team again. Thanks to the team at Beehive Birth Care, we felt more at ease pursuing our dream of an unmedicated birth. Our doula was the cheerleader we needed to make the birth of our son exactly how we had hoped for. Her experience, soothing voice, calm demeanor, knowledge, and amazing counterpressure made a REAL DIFFERENCE. Thank you so much. When our baby will become a big brother, we will make sure to have Beehive Birth Care be part of our birth team again. Raven's energy was like an anchor keeping us in the present moment. "Raven's energy was like an anchor, so grounding, keeping us in the present moment. My partner stated he was so nervous but the moment she arrived it all melted away. In preparation for our birth she intently listened and assisted us in working through some fear. Raven truly has a gift for words and always intuitively knew what I deserved to hear in that moment. She is extremely knowledgeable and had many great suggestions but also encouraged me to trust myself and my body." "From the moment we hired her, we felt like we had a true friend in our corner. Raven was always an amazing listener and we truly felt we could trust her to protect our birth plan. Raven was my rock in labor, she applied hip pressure for hours. She supported my husband and helped him know how to support me. During the hardest part of my labor I relied on her and she pulled me through. She is one of the sweetest, kindest, most gracious people you will ever meet. I will hire her for all of my births and can think of no one else who I would rather have present at such a precious and vulnerable time." I was terrified to give birth and with her positive outlook it seemed possible. "From the moment we hired Raven, we felt a sense of calm and peace knowing that she would be there for the birth. She always kept in contact with me and helped me through my fears and gave me courage. I was terrified to give birth and with her positive outlook it seemed possible. Raven was wonderful to have in labor. She kept me calm and helped my husband support me as well. I was able to have my first baby completely natural in a very short time span without panicking because of her help. 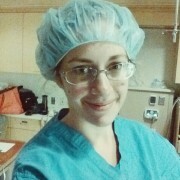 I even smiled in between contractions when it came time to push. It was just magical and I would not have another baby without her by my side." We immediately felt supported and empowered in our birth choices. "After an unmedicated birth with my first baby, I knew that my husband and I needed more with our second. He needed to be the emotional support for me, but also needed someone to acknowledge that he had emotional needs as well. We called Ashlie to set up an interview and immediately felt supported and empowered in our birth choices. Ashlie is calm and supportive. 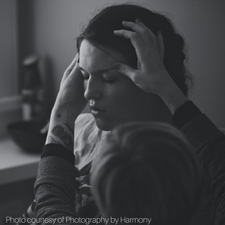 During labor, she was very in tune with my needs and the physical cues of my body and helped me maintain my deep relaxation. She encouraged my husband in the comfort measures he was doing and suggested new things to try when things changed. We both fell in love with Ashlie and felt a loss when our baby was born and we didn't have an excuse to monopolize her time again." She was such an advocate of my husband. "My husband and I were both nervous to have another individual in the delivery room, but after meeting with Raven, we decided she would be an excellent addition to our team. I can't tell you how comforting it was to have her there! My husband is and was a great support but Raven helped him feel confident to step up even more. She was such an advocate of him and made him feel comfortable in the delivery room. She made me feel like I was the strong one and she was just there to gently guide me along. She was an angel and I would recommend her to anyone!" Husbands should be the #1 proponent of doulas. "Husbands should be the #1 proponent of doulas. Raven was there the whole time. When I needed to take a break or go get dinner, I knew that Raven would be there supporting my wife. I don't know how we would have made it through without Raven. She truly loves the work. Every minute with her was an honest pleasure. 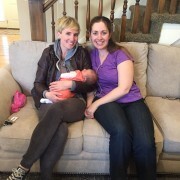 My wife and I loved having Raven as our doula and will hire her again. Other than a home, a car, or a college education, hiring a doula was the best money we have ever spent. Completely worth it. And, we'll do it again for our 2nd child, 3rd, or however many we end up having." I know now that I have a voice, that I can do this in a happy, loving and positive environment. At first my partner didn't want to come at all and thought classes would be useless and dumb. By the end of class #1 my partner thanked me for signing us up. Have learned so much, it's even helped our marriage as we never discussed our previous birth trauma with one another. Now my partner (and I ) feel confident about birthing regardless of the outcome. We look forward to being a team. I feel that class has changed my life. I was scared of labor and now I'm looking forward to birthing my baby regardless of how I do it. I know now that I have a voice, that I can do this in a happy, loving and positive environment. It really is a different and amazing approach to educating women preparing for birth. I fell in love with Birthing from Within. The class is everything a childbirth class should be: it goes over all the physiology of labor and is extremely informative. What it adds, and why I LOVE it so much is that it teaches women many different ways to cope with the discomforts of labor rather than a 'one size fits all' approach and you get to PRACTICE different coping techniques at every class! Add to that the empowering, self-discovery style birth art in every session and it really is a different and amazing approach to educating women preparing for birth. To top it all off, Raven's sweet spirit, strong heart, and gentle demeanor are the perfect guide to prepare for such a powerful day in a woman's life. She is incredibly inclusive, extremely knowledgeable, and so warm and welcoming. 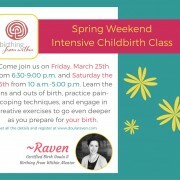 Raven made our childbirth class an invaluable part of our pregnancy. "I am forever grateful for this class. I feel more empowered and knowledgeable about the entire process. The class and discussion were tailored to me and my wife perfectly. I feel as though my wife's confidence in being able to birth has soared. She now fully believes in her ability to birth. This class showed me that labor is truly a team effort and that we will need to work together to have the best experience possible. Raven was a joy to work with and made this an invaluable part of our pregnancy." Our childbirth class strengthened us as a couple. "Raven tailored it to help us the most. I think it helped my husband tremendously with what to expect and how to help me through things. It strengthened us as a couple and helped us both realize that there's no wrong way to birth. Raven is fantastic." It gave us a readiness to experience this birth united. "I enjoyed the open discussion and the information passed on. It was a good refresher for both of us and gave us readiness to experience this birth united. It gave us a time to focus on this pregnancy, helped us come together, and was great for us. I really enjoyed the class and thought Raven facilitated the class wonderfully." My partner is in a better position to help me and to help himself. "I liked the special class time for partners because it is important for them to be comfortable and prepared for birth. My husband is more aware of pain relieving techniques and what to expect during the birth and he's in a better position to help me and to help himself. It was great to have Raven as our mentor."